My husband got me these cute daffodils over the weekend :). Arnt they the prettiest thing ever! I wake up each morning to see them smiling at me. Beautiful Daffodils, and Lovely card!!!!! 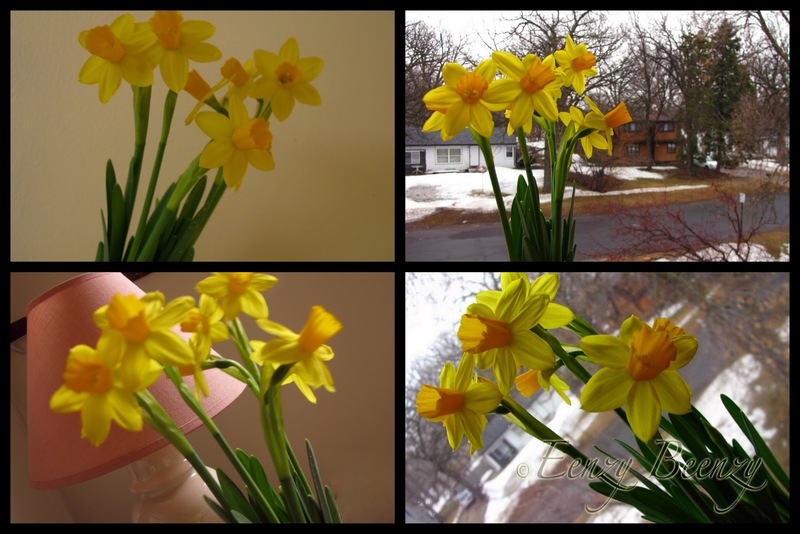 Daffodils are such happy flowers! Your cards a very pretty! preety husbend brings apretty flowers for apretty wife.god bless you both with pretty wishes.card is also very pretty.keep it up all pretty things in ur life.